Suwannee County is a lesser-known area near the Florida panhandle on the state’s west coast. 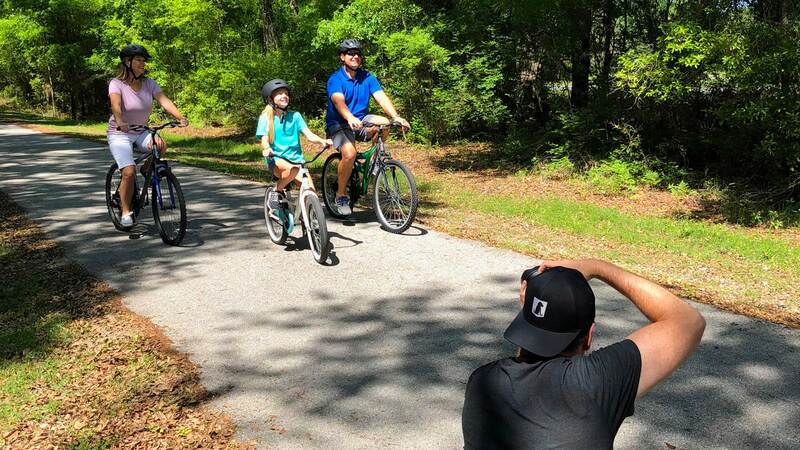 Cutting right through it is the famed Suwannee River, the centerpiece around which revolves some of the best outdoor activities and attractions in the state. Much of what the county has to offer, however, is unbeknownst to many Floridians and beyond, so business leaders and distinguished members of the Suwannee County community formed a coalition whose goal was to bring about awareness to their county with the hopes of increasing visitor-ship over time. Without any digital footprint to speak of and fierce competition from more well-known tourist destinations, this was going to prove to be a formidable marketing challenge. 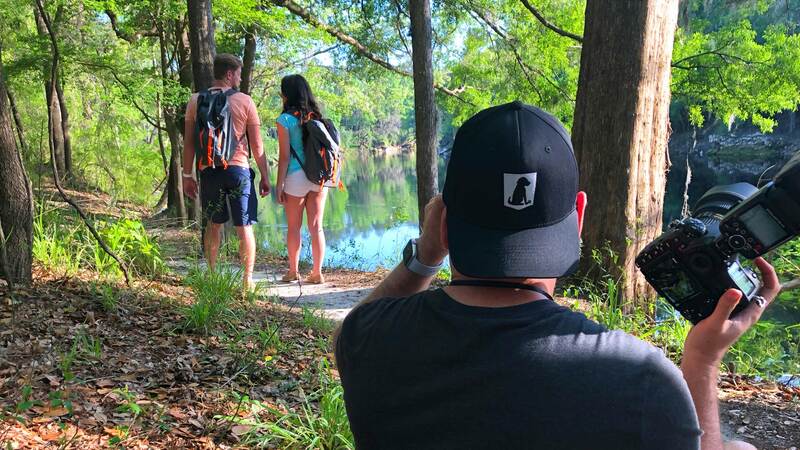 With an established marketing track record within the Travel & Tourism industry for over 28 years, BlackDog Advertising was selected to solve this problem with marketing solutions that would best express the essence of Suwannee County as a place that was begging to be discovered. 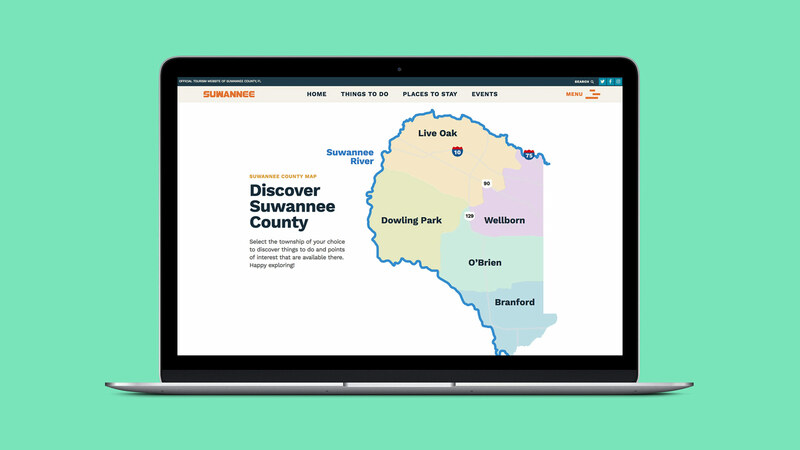 A strong website design with an emphasis on high quality photography and a defining, beautifully produced video became the building blocks upon which Suwannee County’s brand recognition would be built. Solid, engaging video content remains one of the most effective forms of communication a brand can deploy along with well-composed, high-definition still photography. 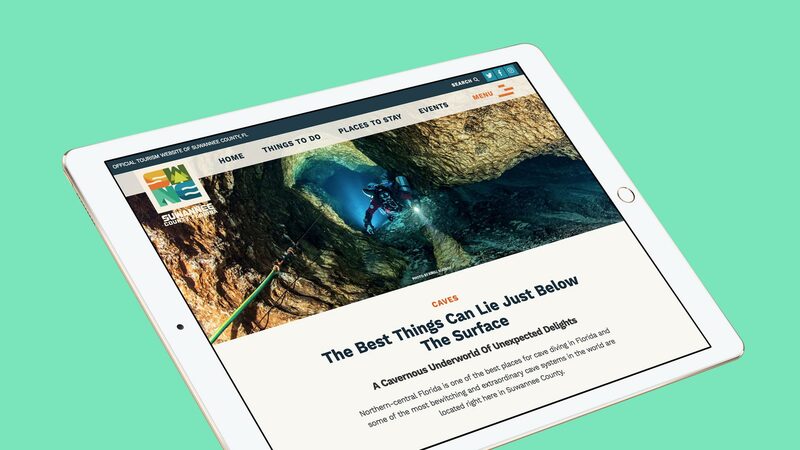 At BlackDog Advertising, we wanted to capture a place that is both an undiscovered treasure and a mecca for outdoor enthusiasts – a treasure trove of springs and underwater caves that every camper dreams about in a place that possesses small town charm and a magic all its own. Our goal was to convey this message through the production of a marketing video and high-quality nature and lifestyle photography. Both the principal photography and the video were written, produced, directed and edited entirely by BlackDog Advertising. The score of the piece was a solo acoustic guitar rendition of ‘Old Folks At Home,’ the official Florida State Song which was, in turn, inspired by the very Suwannee River we wanted to share with the world. Besides a lengthy and involved shot list, local models were hired and locations were scouted and locked down during shooting. The models were cast to represent the diversity of Suwannee County and its people. Underwater photography, crane shots, drone shots, steadicam and hand held camera shots can all be seen in the final product. 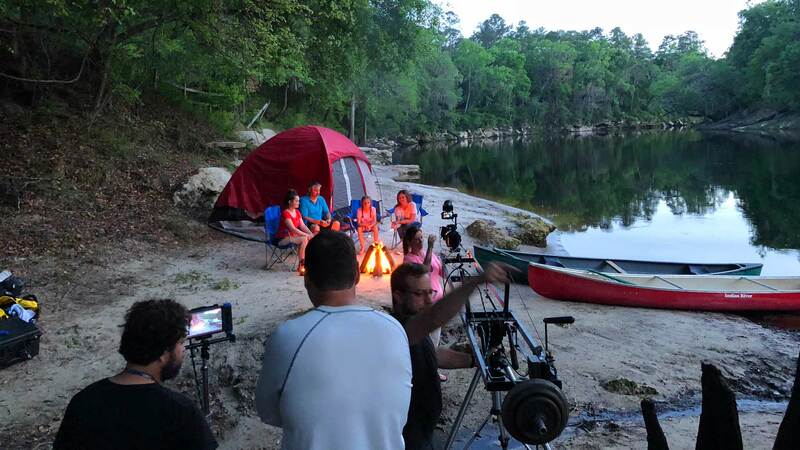 Thanks to everyone at Suwannee County, both in front of the camera and behind the scenes, for fully committing themselves to bringing both our vision and Suwannee County’s story to the world. 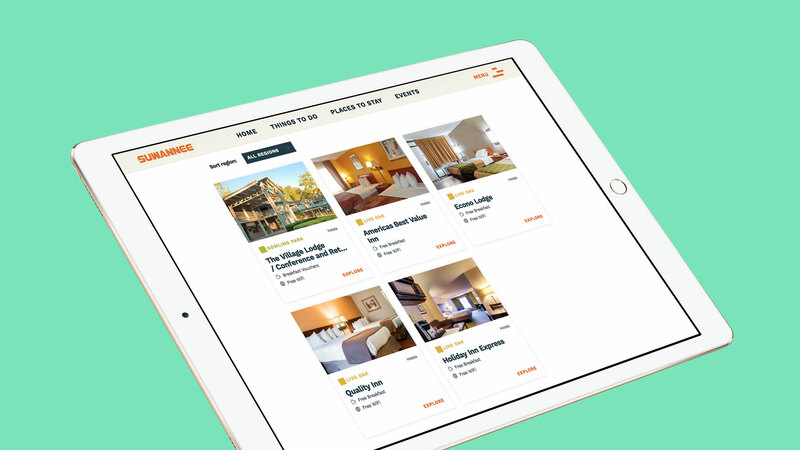 When creating a compelling travel and tourism website, the primary objective is to show your audience what the benefits are in visiting one place over another. 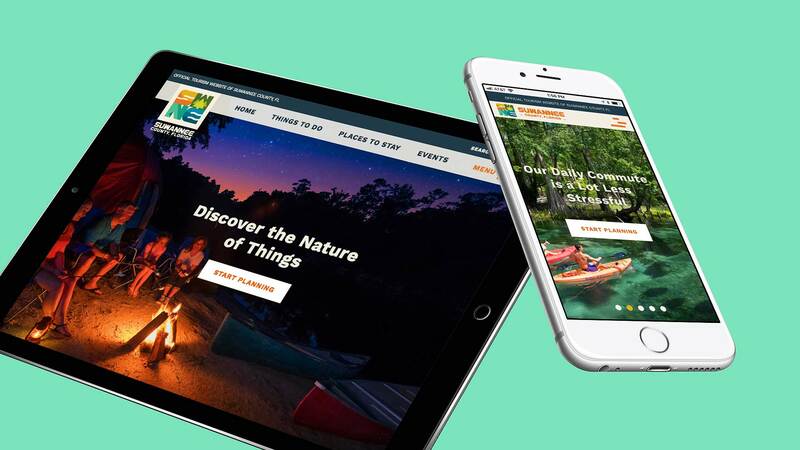 In our case, we wanted a user friendly website that not only prominently featured all of the fun activities Suwannee County has to offer, but to also show that it is a great, untapped source of awesome things to do and see, especially the things that differentiate it and make it unique like the many amazing freshwater springs and world-class cave diving. 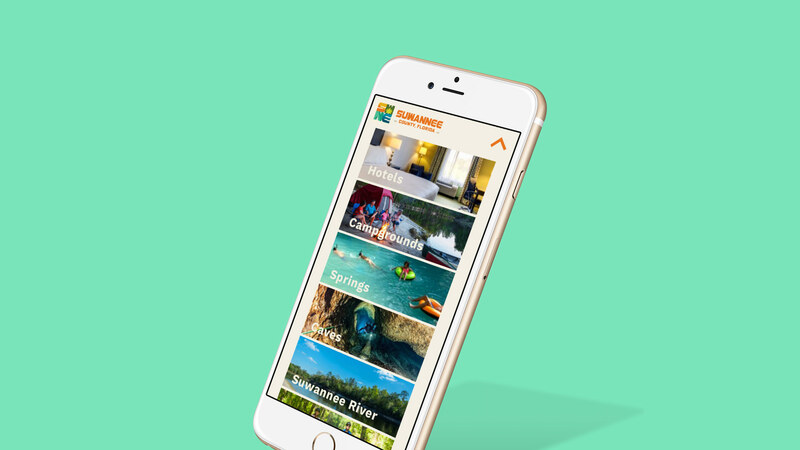 We included a map on the website that outlines the five major townships that comprise Suwannee County and allows viewers to see where the best places to find nature, attractions, restaurants, hotels and shopping are within each region. 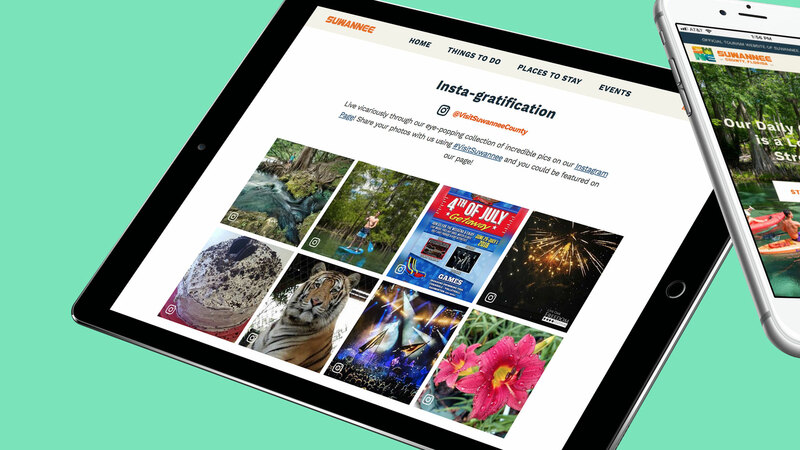 We integrated the county’s Instagram page to the site that not only displays content produced by BlackDog, but also user generated pictures – including those of the county’s brand advocates and influencers – serving to gain awareness of our branded hashtag, #VisitSuwannee. This provides the opportunity to get our message out to other channels, leading to a greater web presence on blogs and other social platforms that speak to our demographic every time that hashtag is shared. The end result was a responsive, multi-platform website with robust functionality that has an orderly, well-branded aesthetic.